Ronald Dion DeSantis (born September 14, 1978) is an American politician, former Navy lawyer, and author serving as the U.S. Representative for Florida's 6th congressional district since 2013. He is a member of the Republican Party. HUGE crowds in Pensacola, Tampa, and Fort Myers today to support my campaign for governor and to hear from Sean Hannity and Congressman Matt Gaetz! Great to be back in Pensacola with Sean Hannity and Rep. Matt Gaetz! 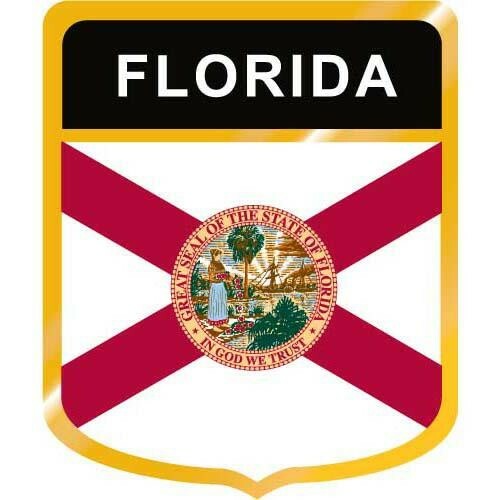 We need Ron DeSantis for our Governor in Florida get out to vote....FL deadline to register in FL is July 30.. make sure you are registered... Early Primary voting is Aug 18 to Aug 25.. 10 am to 6 pm... Let's get er done FL. When I’m Governor in Florida I will sign E-Verify into law here in Florida for a LEGAL workforce! Putnam won’t do that because the big Ag Donors that fund his campaign want cheap foreign labor - that drives down wages for our citizens and breaks down the rule of law in our state! Ron DeSantis, (R) FLORIDA CONGRESSMAN FL GOVERNOTORIAL PRIMARY…I will sign E-Verify into law!... When I’m Governor I will sign E-Verify into law here in Florida for a LEGAL workforce! Putnam won’t do that because the big Ag Donors that fund his campaign want cheap foreign labor - that drives down wages for our citizens and breaks down the rule of law in our state! Trump’s support for DeSantis helps the tea-party conservative outflank the right wing of GOP front-runner Adam Putnam, who is Florida's agriculture commissioner. Putnam is sitting on a $15 million heap of campaign cash. “Congressman Ron DeSantis is a brilliant young leader, Yale and then Harvard Law, who would make a GREAT Governor of Florida. He loves our Country and is a true FIGHTER!” tweeted Trump on Friday afternoon after watching a Fox News clip of the congressman. Trump tweets full endorsement of Ron DeSantisTrump called the Florida Congressman "strong on borders, tough on crime." Governor Rick Scott has spent each day as Florida’s 45th governor working to turn around Florida’s economy and secure the state’s future as the best place for families and businesses to succeed. Governor Scott grew up in public housing in the Midwest as his adoptive father, a World War II veteran and truck driver, and his mother, a store clerk, struggled to financially support their family. After marrying his high school sweetheart, Ann, Governor Scott joined the Navy and used the G.I. Bill to go to college and eventually open his first business – a donut shop so his mom could have a job. He ultimately ran the world’s largest healthcare company, with hundreds of thousands of employees from across the world. A job is the best way to help families succeed. Since I’ve been Governor, I’m proud that businesses have created over 1.5 million jobs, and I want to bring the policies that allowed this to happen to Washington. 15 days since we announced our fall debates and so far, there’s been no response from Nelson. Voting on judicial nominations is one of a Senator's most important constitutional duties. But Bill Nelson’s record shows he leaves his decision up to party leadership. Do you think it’s time to hold Congress accountable? Let’s start by withholding their paychecks if they can’t pass a budget. Did you know Bill Nelson has taken over $4.4 million in taxpayer funded salary over his career in politics? After Saturday, we will make our first public fundraising report. Can you donate today to help show Chuck Schumer, Bill Nelson, and their out of state donors that Florida voters are tired of their obstruction in the Senate? Florida Governor Rick Scott for Senate. Bill Nelson is a total obstructionist. The guy has been known to vote No on approving cabinet member’s of Trump’s administration and voting No on National Defense spending bills. Let’s stop sending people who obstruct and send someone who will stand with our President, and the people of Florida.